U – Have you added anything stupid/cracky/hilarious to your fandom? If so, what? With the concept of the pocket shrine, I may also have introduced a word – the “RAPS”. I mean, I don’t usually use R-A-P-S as a sequence of letters but I read them as an acronym. So much for contributions to fandom… How about you? Have you coined a term, caused a storm, created a monster? Let me know in the comments! Well done, the fandom would be way more monotonous without you and your shrines! they are all wunderbar and those were just a few that caught my eye as I was feverishly writing down the titles and numbers just now. Always creative, clever, and wanting us craving more!! Hehe, I can’t even tell which ones are my faves. The bigger ones are generally the ones that have more of a story in them. They are all wonderful and unique in their own right of course. Those I listed flashing through the repertoire I jotted title and number down caught my eye in a flash. I love your titles too, just brilliant! I second both Herba and Zee!! I have a few in my possession and I adore each one!!! I am not sure that I coined the term nape curls but I might’ve. It was just something everyone was talking about at the time, esp after the World’s End premiere, so I might’ve just memorialized someone else’s. You have definitely added a lot to the fandom! Ah yes, of course, it was Frenz. (Before my time. Hence I wasn’t sure.) And what she writes in that blog post – even though pertaining to a specific incident that is not detailed – still applies. IDK – I always associate the term nape curls with you. I remember when you posted that picture of RA at the World’s Ende premiere – the rest is history *hehe*. I remember the incident (lol — although it’s good that most people don’t or weren’t around for it) and the main thing that I express now is that in retrospect, almost everything that caused an uproar back then has now become relatively normal or accepted in the mainstream of the fandom (or at least there aren’t mobs of people denouncing it). One thing I think the changes after the intersection with the Hobbit fandom really did for us was make us into a more typical fandom and on the whole that’s been a good development. Since I wasn’t really part of the fandom pre-Hobbit (well, only for about 6 months), I can probably not judge it, but what you say makes sense. I am sure there was quite an influx of new (dare I say: younger) fans, and that will have made a difference because they came with prior fandom experience and possibly more tolerance? Just totally guessing here. But I definitely agree that the development was a good one. 6 months? I came in only two weeks before the first Hobbit movie opened. Little did I know what was about to hit the fan, ha ha ha. Yeah. I mean, I didn’t get into RA because of the Hobbit. In fact, the Hobbit could potentially have turned me off. Looking back it is interesting to have experienced the fandom pre- and post-Hobbit. The fandom wouldn’t be the same without you and your RAPS’ G! As I’ve said before, you are so talented! I’m a proud owner of few gorgeous RAPS’. Those are my precious treasures. Your creativity is astounding! Seeing all of those RAPS together is awesome. I even saw the one I happily received from you long ago (#8 Thorin Discreet) and still treasure! Aw thanks. And hooray – it still exists? As the owner of a single digit shrine, you are a recipient of the first hour!!! Very special!!! Don’t forget the fabrics with the symbols. They are also great. Bea, me too. I can not create or sew or really cook so I am happy to join you as an admirer and eater. Comments are never foolish or stupid IMO. Everyone is so respectful and friendly here so glad you are here as well!! Bea, yep and there is a lot to be said for being a groupie! I happily will be one with you!! I’m sure we can rustle up some more too…. Yes I think so, too, Michele. We can easily fill a bus. A fandom in the fandom, how is this? Hooray Nordlicht!!!! Both you two made my day!!! Ha – I totally forgot about my fabric designs. Ich kann mich meinen Vorrednerinnen nur anschließen. Was wären wir nur ohne dich 🤔☹😢?! Du bringst so viele gute Ideen, Herzlichkeit und Freude hier ins Fandom ein 😘. Ich finde übrigens, du hast die Frage nicht korrekt beantwortet. Auf die RAPSe trifft nämlich IMHO keines dieser Adjektive zu 😉. personally i’ve not been long enough around to particularly contribute much to the fandom except for some dressing up silliness! But more interestingly: You have a monthly steampunk meet you attend? That sounds intriguing! Lol,I just feel bad being a slacker! Thankd re the study day..just anxious that it goes well. 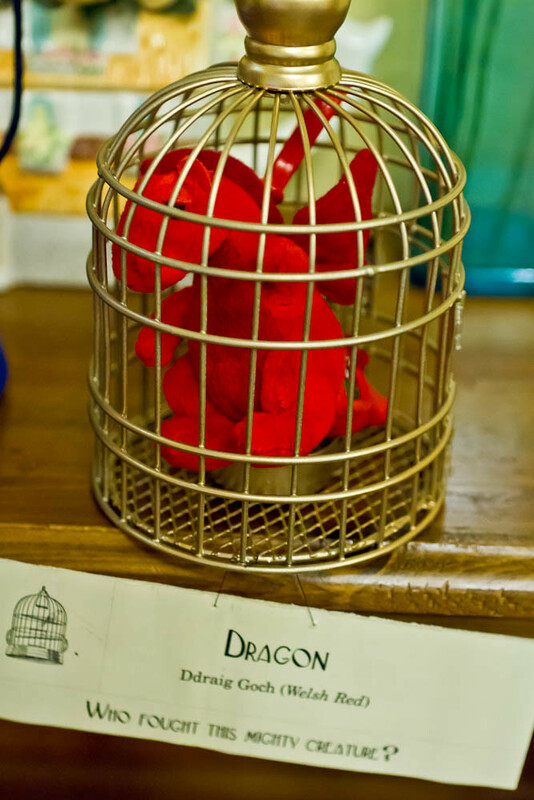 No matter whether Welsh or not – it’s a Red Dragon. Francis approves. Your creativity is fabulous Guylty ( I adore my FD shrine) and your wit and fun projects are integral to making the fandom a jollier place. I don’t know who coined putting ‘tage’ at the end of words descrbing Armitage bits, e.g. ‘ armpitage’ but that does make me laugh, as did the person who described John Thornton as a grumpasaurus. Grumpasaurus ( think that is the spelling) was used on a set of Tumblr images celebrating Thornton’s ‘assets It appears every now and again but I’ll see if I’ve saved it somewhere. LOL – I just did a little Google search, and apparently the full term is “Victorian Grumpasaurus Rex” 😂. The original tumblr doesn’t seem to exist anymore. By writing odes so dumb? I hope we shared some fun. I stopped counting how many odes I wrote starting in 2013, but they are in excess of 130. All are written for Guylty’s or Serv’s blog. Here is a blast from the past, since the subject has come up. Lustrous as a precious pearl. Is so much temptation fair to us? Hell no, not so much. Whose sneering bedazzled, oh my. And romance found him rarely. Kathy they are fantastic!!! I miss them. It has been a NYC minute since the last one. Just a pleasure to read and so spot on!! Thank you!! Thanks, Michele. I know my output has fallen off this year. I can blame Guylty (anyone but myself, actually) for posting so frequently I don’t have time to write an ode before her next posting is up. She is too fast for me, or my brain is slowing down, or both. No kidding, what happened to all those other people? You have made a great contribution with those odes, Kathy. And I don’t find them dumb at all. In fact, you need to be everything but in order to write those. Well, fact is, Richard is still waiting for his medal. That encounter in NY is sure to have left a lasting impression. So you should combine the two – hand-over of medal, then a private ode reading session. Yes, I thought of that. Medal ceremony (very brief since he will be passing by the stage door line at warp speed) and then the book signing. All recorded for posterity by you and your camera and Mimi with her phone. I am sure Richard will be thrilled to receive both items. He has been waiting to be conferred the honours since 2016… so yes, this has to be made a big deal. Michele you are too kind. If I ever did make a book of odes, l would give it away to anyone with questionable taste who wanted it. Besides, what if Guylty put it up for auction and nobody bid? I would have to buy it myself to save my ego. Michele, you are a great motivator. I will think about it. Thank you for being such an enthusiastic cheerleader for the odes. They are feeling very proud and important basking in your praise. Let’s hope you are right. He did sign my shrine, not knowing what it was. As if a Guylty shrine needed any embellishment.It was fun witnessing his confusion.’ though. I have a few on paper, too. Kathy, your odes are awesome. I bet it would be a battle to bit for your book. But I would be proud and lucky to buy your book without an auction. Yikes, let me get organized. I would love for you to do it, besotted.My main problem is having time to get odes into some kind of order. They are stuffed into a notebook at present. Not even typed up. My process is to write them in comments, then copy them longhand and stick them in a notebook. Any I have written in the last year, haven’t been copied down at all. It’s been a rough year for odes. After a few days, I forget that I even wrote them. I am on for a book any time! I will typeset and design it! Come on Kathy, let’s team up and do it! Please take your time and think about it and your odes, they are so great and precious, they are worth to be published. Beside Michele I am your second cheerleader. Thanks, Bea. I need all the cheerleaders I can get. Hooray, what a great idea. Thanks for offering your help, Besotted! Guylty, I have another idea for you. What about a book like a coffe table book with pictures of all your shrines, you have done? Naturally with the famous first one? Bea that is a fantastic idea! I second that !!! Donna, everything you listed well said!!!! Such nice words from you, D – thank you very much, you are too kind and give me too much credit. A blog and a blogger is only ever as good as the reader allow her to be. I am definitely lucky with the kind and generous audience here. Always happy to give you the credit I think you deserve. I feel your blog creates a positive environment in which your readers connect and respond with happy enthusiasm. It’s a lovely place to visit even if just to read the comments. I really hope that that is what this blog is. It may be my soapbox, but there is space in the comments for everyone. Mr Guylty more or less created a monster *muhahaha*. He had no idea what he had coming. But yes, he is a treasure and a very patient and tolerant man. So sorry, the book was out of my radar, I only know the others. Definitely. I really want to get vol 2 out this year. Only 17 shrines to go!!! I might make it!!! Aw thank you 😘- posting about them is my pleasure and my way of “owning” them before I let go.